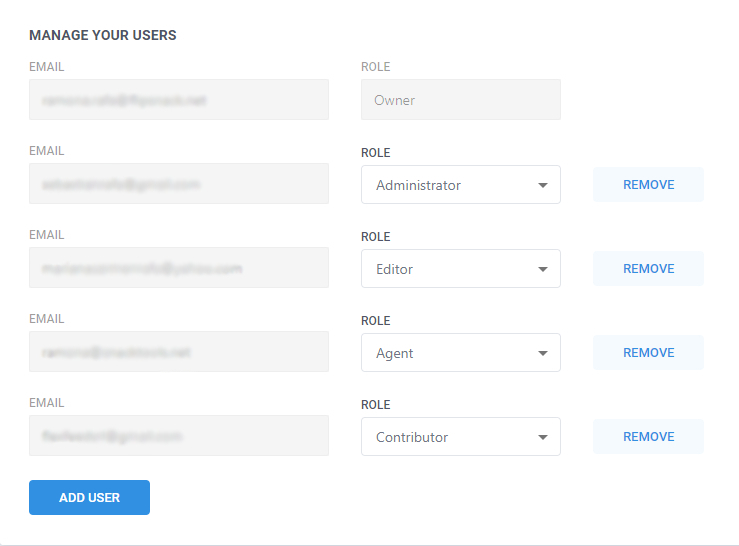 Grow your team by adding more users and assigning specific roles to each member. Working with teams on Flipsnack ensures that you get the job done right. Assigning permissions and roles to specific team members helps your team work together to accomplish your goals. 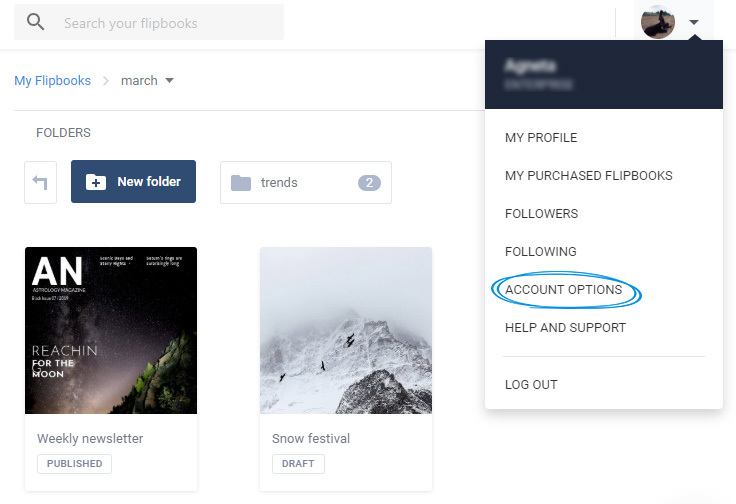 If you own a Business or Enterprise subscription, or if you've purchased a Team or Elite subscription in the past, keep reading to see how you can add more users to your account. In My flipbooks, hover your mouse over the icon in the upper-right corner of the page and select Account Options. Once you are there, select the Users tab then Add user. Next, type in the email address of the person you want in your team, assign them a role (You get to choose between Administrator, Editor, Agent and Contributor), then click Save changes. Contributor - This role has the strictest permissions, as it only allows users to create, edit and view their own flipbooks, and they can only be published by the Owner, an Administrator or an Editor. After a Contributor creates a flipbook, they will have the option to Ask for review instead of Publish. Once the review request is sent, the flipbook can be published by the Owner, an Administrator or an Editor. It will appear in their account in My flipbooks with the Pending review label and Not published in the Contributor's account. Important: You can only add emails that are not associated with any Flipsnack account and only one user can work on a flipbook at a time.